Welcome to my Kitchen for the month of December. The very last one for 2014, and what a year it’s been. My first year blogging. Warning: You may overdose on Christmas Spirit if you choose to read any further. Seriously. It’s like The North Pole spewed Christmas throughout my house after a big night on the eggnog. And I wouldn’t have it any other way. On a day of Christmas baking and Bing. 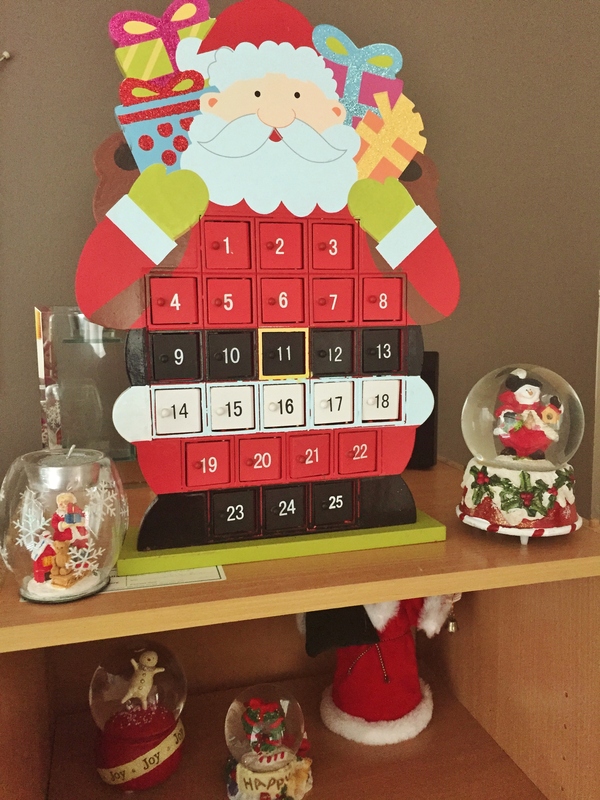 …well, it’s not technically IN my kitchen, but visible from the edge of my kitchen, is our Santa Advent Figure. Each night the Elves bring a little chocolate each (if Mummy Elf visits), or a 10c coin (if Daddy Elf visits 😦 ). Buddy rushes out of bed every morning to see if the Elves have been. His excitement at 7.30am each morning is delightfully infectious, and reminds me why we do this, and what the spirit of Christmas is about for my kids. 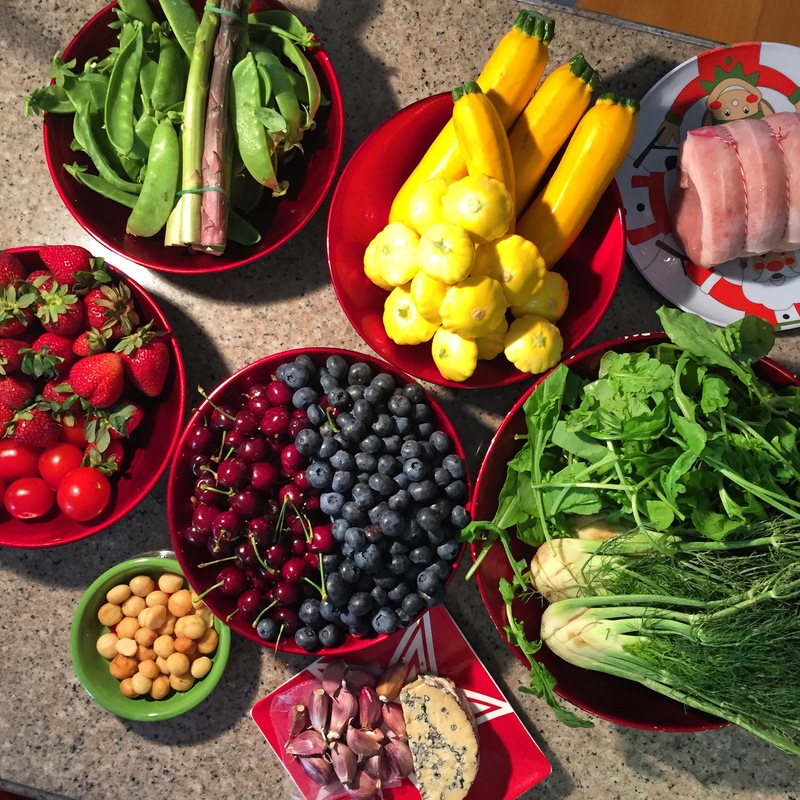 …is a HUGE stack of fresh fruit, veg and cheese, that I sourced from the Capital Region Farmers Markets at EPIC. 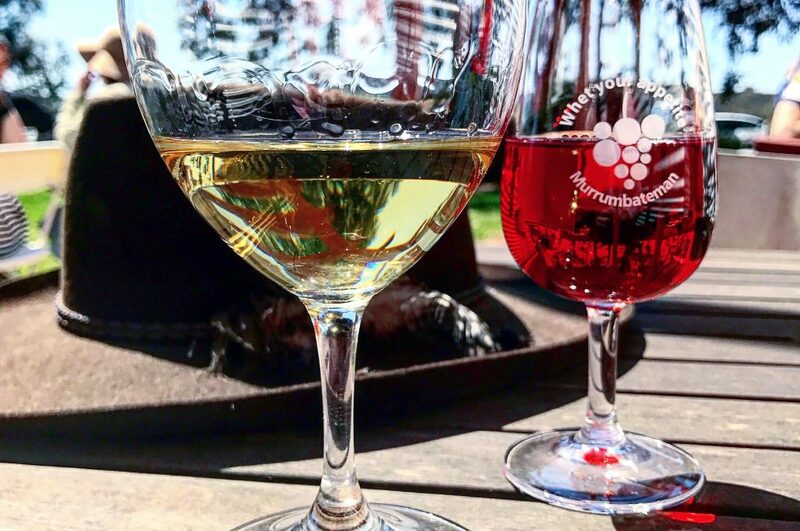 I was asked (actually, I near on begged), to attend a tour of the markets, led by their Marketing team, along with a bunch of other Canberra bloggers, specifically to showcase all the beautiful and usually local, produce. We were given a voucher for $100 and told to come up with a menu that best befit that of a Christmas celebratory table. 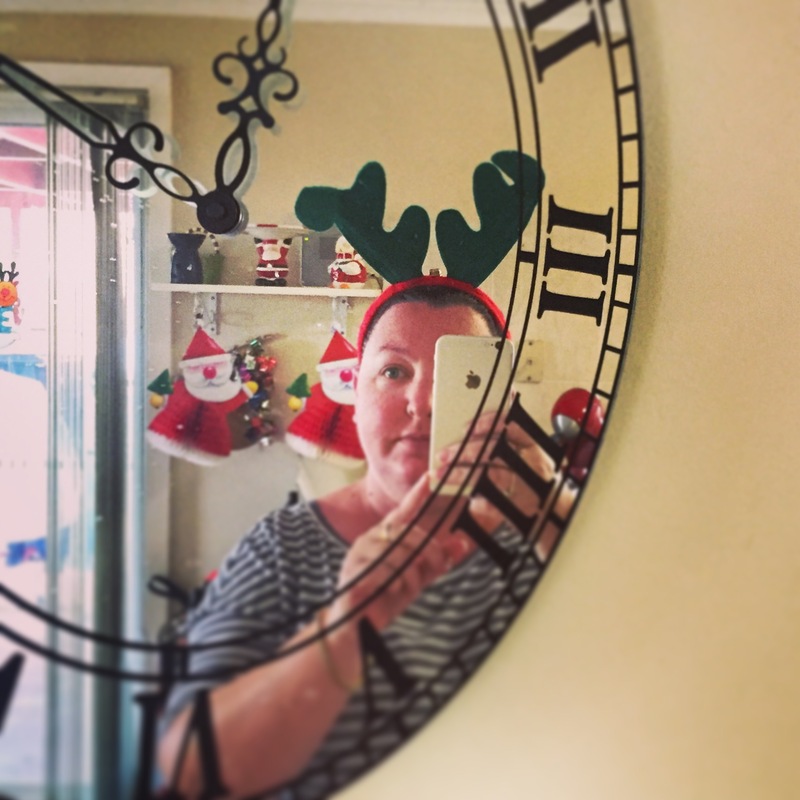 I called it my #Christmaschallenge, and certainly got on with the task with relish. I will be doing a blog post on this, it was a stack of fun, and if you check out my Instagram, you’ll see what I’ve done with my bounty so far. 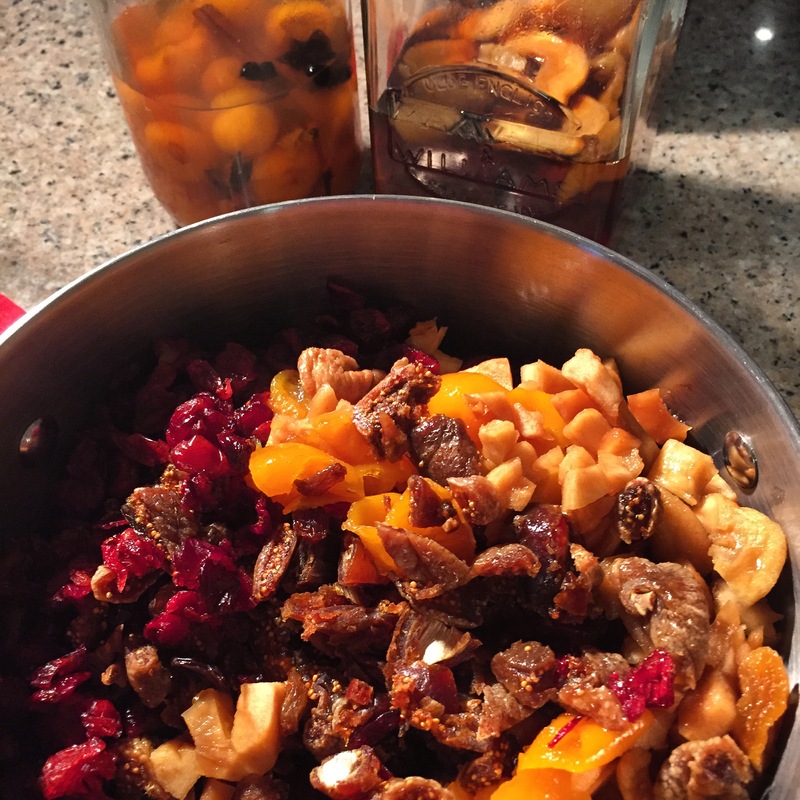 …is a heady mix of spiced brandied cumquats, chartreused apricots and apples, cranberries, dried figs, sultanas, dates and a whole lotta brandy. I’ve been asked to make a couple of Christmas fruit cakes for a colleague. I made one, we tested it on Friday at a planning day, it was great, she said YES Please! Just like that one, thanks. And I promptly forgot what recipe I used. So, I’ve made one up. Based loosely on one of Nigella’s, with completely different ingredients. And here’s one I prepared earlier. This is a huge cake, prepared with another recipe (also Nigella’s, do you see a theme here? ), which will go away with us for Christmas Day, to be cut in memory of Grandma. 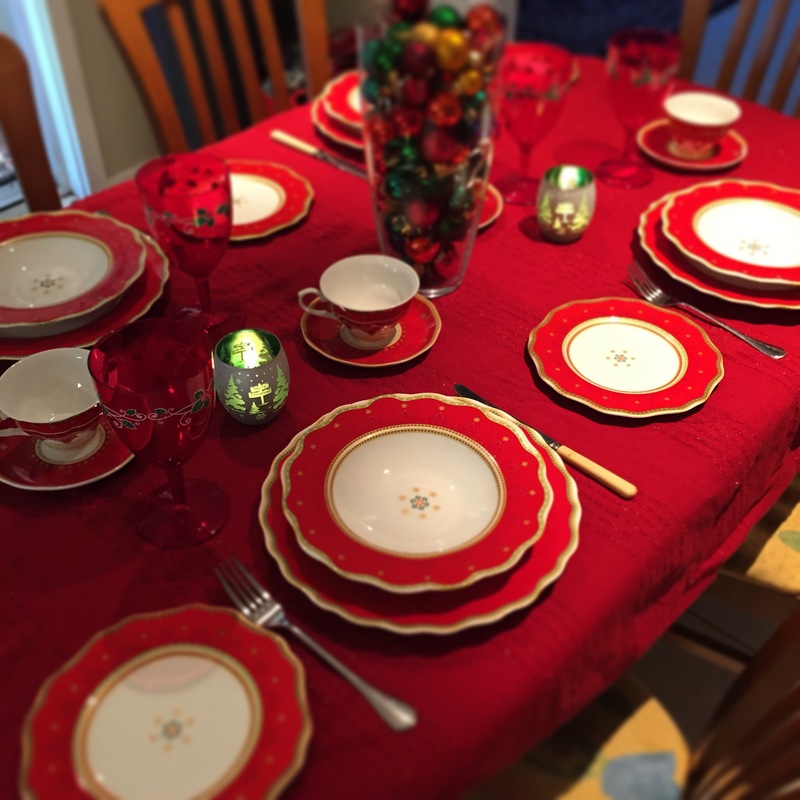 …is my very first Christmas Dinner Set (see, Capitals, very important). It only has 20 pieces, so only 4 place settings, and that is just never enough, so I may have to buy another. 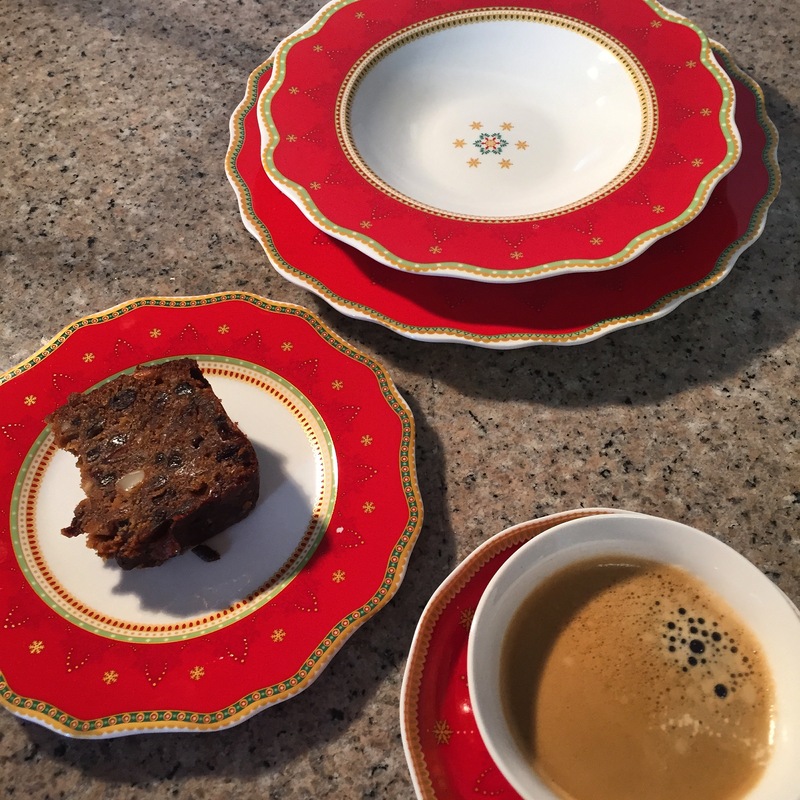 Oh, and the aforementioned Christmas cake, eaten for breakfast with a strong coffee prior to getting dressed up, as per the above, and baking all day. And here it is all set up for our #Christmaschallenge dinner last night. Excuse the plastic wine goblets, with littlies at the table, it was imperative. For their safety, from me, in the event that something was broken. …is a lovely surprise pack from Essential Ingredient, Canberra. I’ve used the lemon agrumato (olive oil) in many things, it’s lovely and lemony. I did a faux carbonara the other day with bacon (Pialligo Estate, as pictured), Greek Yogurt, peas and this oil and it was fantastic. I really must put the recipe up on the blog. I bought the Christmas sprinkles, as I couldn’t walk past their Christmas display without buying something from it. Check out the cake below, covered in them. So festive! I’ve yet to use the other two ingredients, but Christmas presents the perfect op to test them out. …are the Christmas tree cake pans I debuted last month. Banana cake was requested at work, and why not make it a Christmas tree banana cake? Who remembers the Womens Weekly cookbooks? I’ve got about 20 of them, and use the Buttery Banana cake in this one, Every. Single. Time I make a banana cake. Never failed me. And here it is in all it’s glory. Tip to the unwise, decorate your cake on a pretty board, so you don’t get stuck with it on the base of your carry thingy. The cake pans are a winner. Going to make a triple coloured Christmas jelly in them next. …is the jolly little Buddy. He’s a sucker for an elf hat, a Christmas t-shirt and “helping” mummy bake cakes. He may or may not have licked the spatulas whilst I wasn’t looking. What do you think? 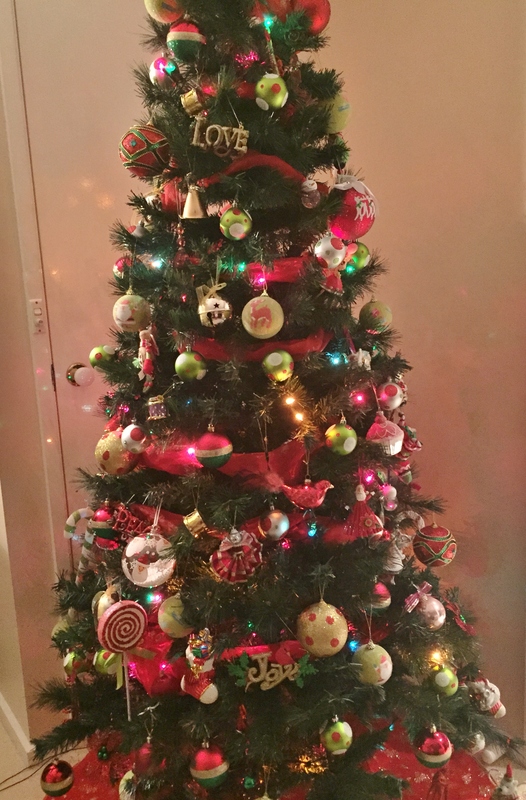 ….my beautiful Christmas tree. I’m very traditional with my colour scheme, I just can’t come at purples and pinks and silvers etc. Reds, greens and golds are the colours strewn round my house. And I have to thank Becc, from The Intolerant Chef who gave me the idea of winding tuille like material around the tree to fill it a little more colour and bulk out the tree a bit, as I threw out all the tinsel 3 years ago. Eek, shudder, tinsel. BTW, check out Becc’s upside down tree, she’s simply a Christmas legend, and my idol. Next to Nigella. 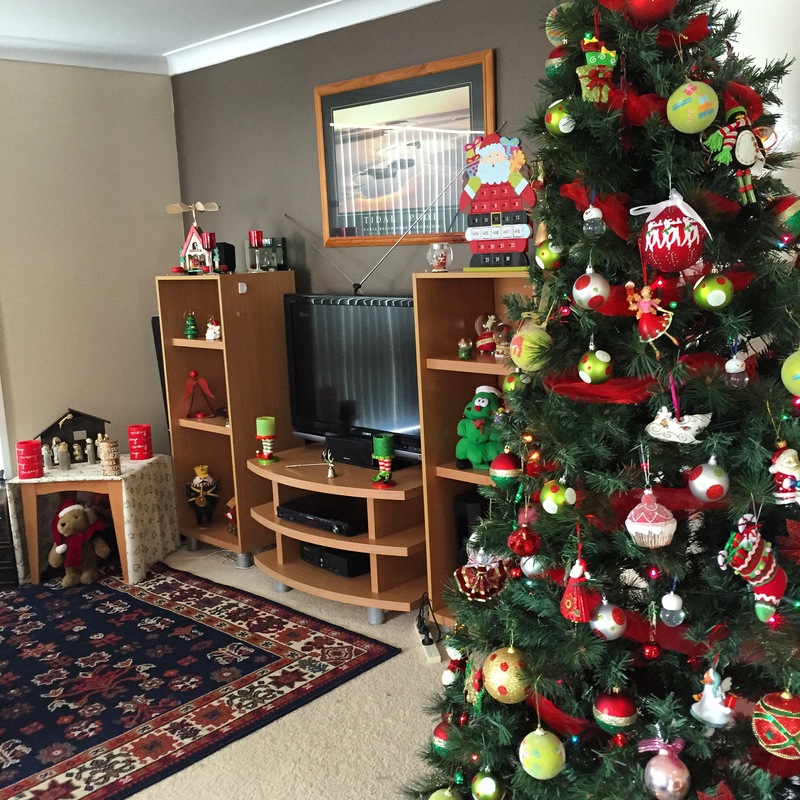 …and the view in the daylight, with just a few more of my Christmas “things”. 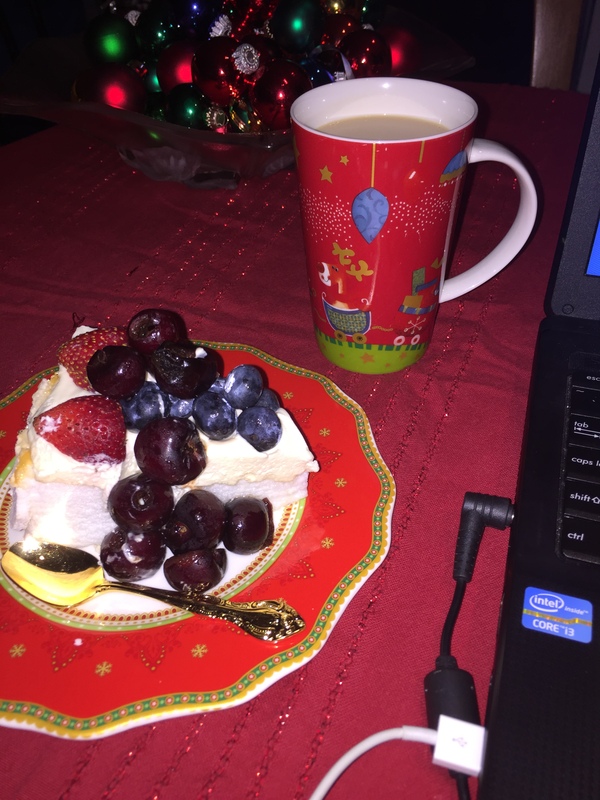 …is the leftover pavlova from the #Christmaschallenge, a Baileys coffee, Bing, Frank and Harry in the background, all getting me in the mood to write my Decembers IMK. Well, there you have it. Almost a quarter of all things Christmas in the Food Marshall’s house. Or, as I like to call it on Instagram, The Food Marshall’s Christmas House of Merry Joy Joy. Tragic, I know. Thanks for dropping by and checking out what’s in my kitchen. Head over to Celia’s blog Fig Jam and Lime Cordial to see what everyone else is up to. See you next month. January, ee Gads, it’s a New Year! I feel more festive after reading your blog. I’ll be interested to find that banana cake recipe, I need a good one that won’t fail me. I didn’t even know what agrumato was til I received this beautiful bottle, and now I use it in everything! Well, almost. Wow your home is so festive already. I love the material calendar where the kids hang the buttonhole pieces on. Your Xmas cake looks delicious too. I’m a big fan of fairy lights too. Emma. 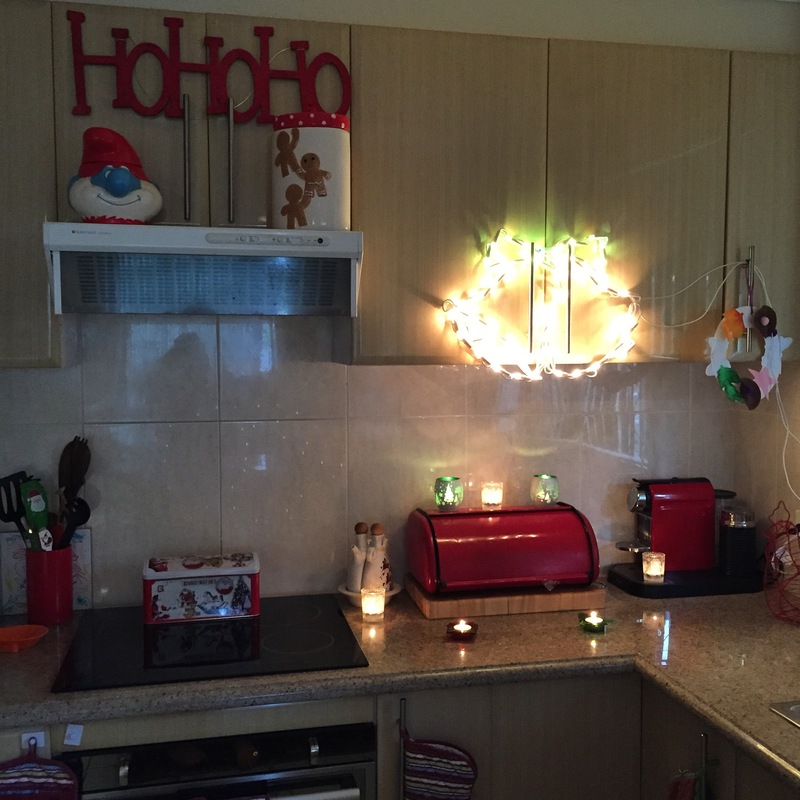 i really love your festive kitchen. everything is gorgeous including your tree. and Buddy is so cute in his elf suit. what about those xmas tree cake pans? Just fab. Merry Xmas to you and yours. Fran, your home is so beautifully festive! I love it… I so miss having little people around to make things extra special at Christmas time… once children are grown up and not living at home they get to a stage where they are not so interested in all the garlands etc. You and Bec are indeed birds of a festive feather. Happy cooking and seasons eatings. Thanks for your friendship through the year. Hiya Lizzy, I hope I’m as christmas mad when the kids leave home as I am now! But that’s years, and years and years away! I look forward to seeing all your Christmas treats over the coming weeks. And I HAVE to make your Irish cream to take to the caravan park with me. Wow, so organised already- puts me to shame. Francesca, just a little obsessed with all things Christmas, not organised, lol. Haven’t done any shopping. Still way too much to do. Thank you so much! 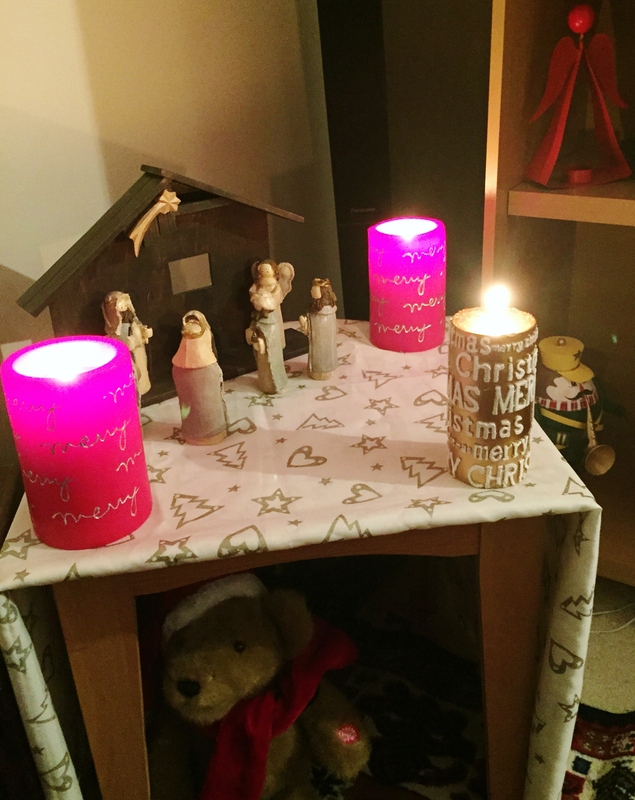 I’ve been a bit bah humbug about Christmas this year as we used to do pretty much everything you have mentioned but the kids have their own homes now and it didn’t feel the same. They’ve taken their decorations I collected for them each year and we are not doing Christmas lunch or our annual Christmas Eve friends get together and I felt a bit down. (Major dose of self pity!) You can never have too much bling or bling at Christmas! Think I might just pull out a few boxes and unpack them now. Might even make a grasshopper, our traditional decorate the tree drink. Merry Christmas. This has to be one of the most festive posts I’ve seen! Love, love, love your Christmas Kitchen in your Merry House of Joy, Joy!! Nigella embodies the spirit of Christmas for me – I love watching her Christmas series on catch up or on youtube to get into the Christmas spirit! Your helpful elf is very cute, the advent calendar where you hang something up every day is just lovely and your tree is spectacular!! I have lots of those Womens Weekly Cookbooks – my mum used to buy them in Canada in and post them to me in London! Have a wonderful Christmas!! Thanks 😄 I’m really pleased you think so. We’re camping at the moment, over Christmas, so I’ve had to leave all my festive stuff behind 😢 I’m missing it very much. But I’ll have 3 days when we get home to appreciate it again before it has to be packed up for another year! 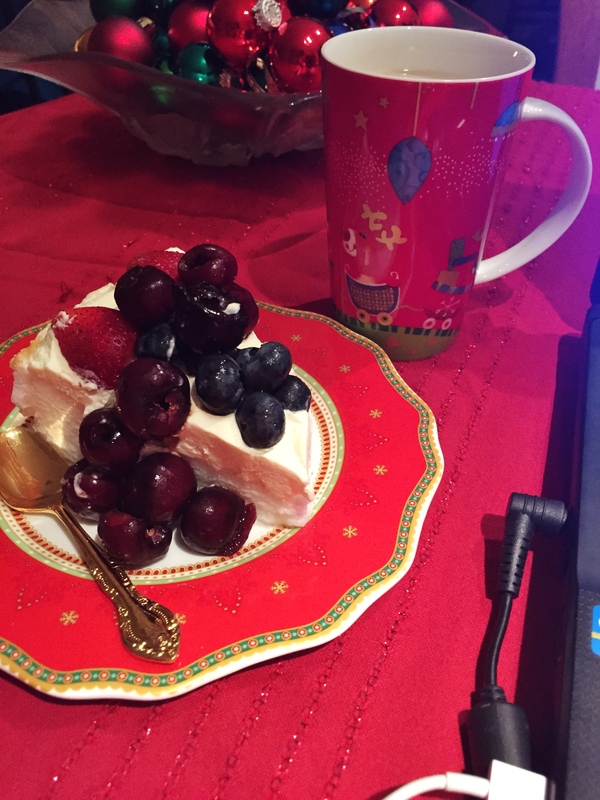 Wonderful Christmas cheer Fran, very inspiring! We haven’t got quite as much, but we do have candles plus multi-coloured flashing lights draped across the lounge room 🙂 I notice you’ve used your cumquats in a cake – how did they turn out? I keep looking at mine and thinking I should put them in something…I’ve been sort of distracted by all the other Christmas baking! Beck, will let you know when we cut the cake, how they turned out. Experimental baking with all my Christmas cakes, so I’m yet to find out. The Christmas pud we had was fantastic, cooked in the slow cooker, using all the spiced jarred stuff, it worked a treat!